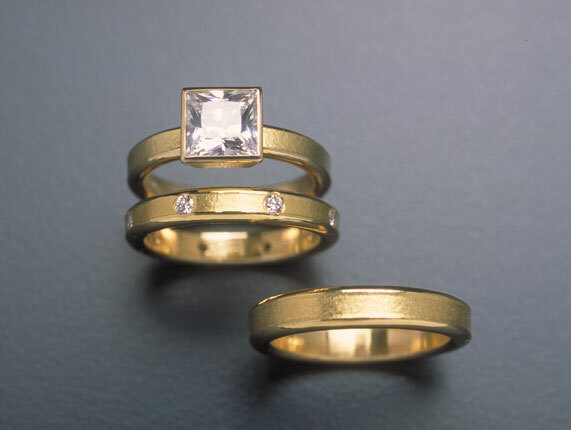 18k gold 3.25mm wide band with 7mm princess cut bezel setting. 18k gold 3.5mm wide textured 8 diamond band with 0.25ct TW surface set diamonds. 18k gold man’s thick 4mm wide textured band.